Dr. Scott M. Helfrich, D.Ed. 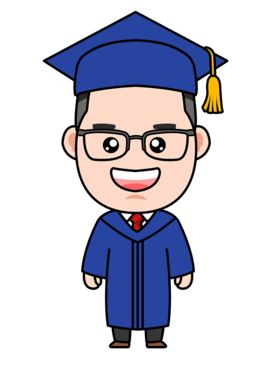 has been a full-time, higher education professional since 2000 and has presented nationally and internationally on a variety of Higher Education and Student Affairs topics. Dr. Helfrich is a nationally-recognized thought leader on the management of student housing public-private partnerships (P3’s) having lead the operations of three P3 student housing communities at three separate public institutions for over 13 years and has taught on the subject at national and regional professional conferences and institutes. He has served as a faculty member at the 2018 ACUHO-I Senior Housing Officers Institute in Pittsburgh, PA presenting on the topic of P3’s with Brailsford & Dunlavey. He was also a faculty member for the MACUHO / NEACUHO Regional Entry Level Institute (RELI) in 2014 and 2018. He also served on the ACUHO-I Public-Private Partnership Task Force. For 10 years Dr. Helfrich worked for a publicly-traded, student housing development and management firm having earned numerous performance awards for revenue generation, budget management, and overall property management. He trained colleagues from around the country on how to effectively foster relationships between campus administrators and management firm representatives. He is also a guest blogger on Brailsford & Dunlavey’s P3 Higher Ed Resource Center as well as the Huffington Post College and the Student Affairs Collective. He was awarded the 2014 Outstanding Experienced Professional Award (10+ Years) from ACPA’s Commission of Housing & Residence Life at the 2014 National Convention in Indianapolis, IN. He has been published in the Journal of College Student Development, Student Leader Magazine, Campus Activities Programming Magazine, and has been a consultant, training module developer, and writer for various colleges & universities, online companies, and higher education organizations, such as ResLife.net, StudentAffairs.com, and the Pennsylvania State System of Higher Education (PASSHE). Scott earned his doctorate (D.Ed.) from the higher education program at the Pennsylvania State University and is currently serving as the Director of Housing & Residential Programs at Millersville University.